The first lady's spokeswoman is forcefully pushing back at author Michael Wolff's account of Melania Trump's reaction to her husband winning the presidency. 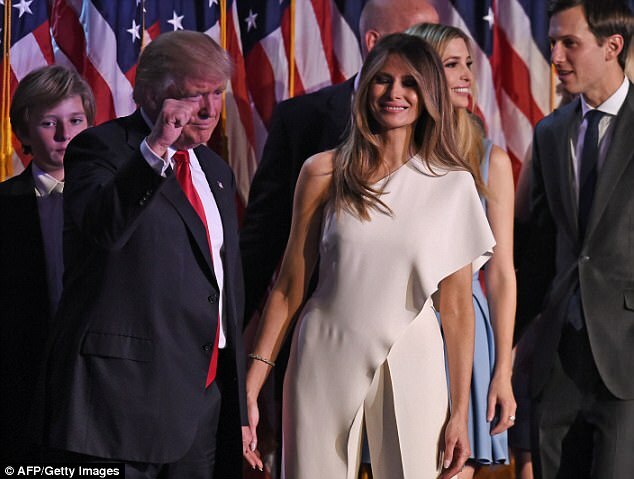 In excerpts from Wolff's dishy new book 'Fire and Fury: Inside the Trump White House,' the future FLOTUS is visibly upset on election night as things turn around for the Trump campaign. 'Melania was in tears—and not of joy,' Wolff wrote. The author also noted that it looked like Donald Trump 'had seen a ghost,' according to the excerpt published by New York Magazine. According to Wolff the idea was that Trump would win by losing. 'Once he lost, Trump would be both insanely famous and a martyr to Crooked Hillary,' the author wrote. And it wouldn't work out well just for Trump. Kellyanne Conway, Trump's campaign manager, would go on to be a 'cable-news star,' Wolff wrote. 'Melania Trump, who had been assured by her husband that he wouldn't become president, could return to inconspicuously lunching,' Wolff said. The women of the Trump White House pushed back against many of the book's assertions, including that Melania Trump had cried. 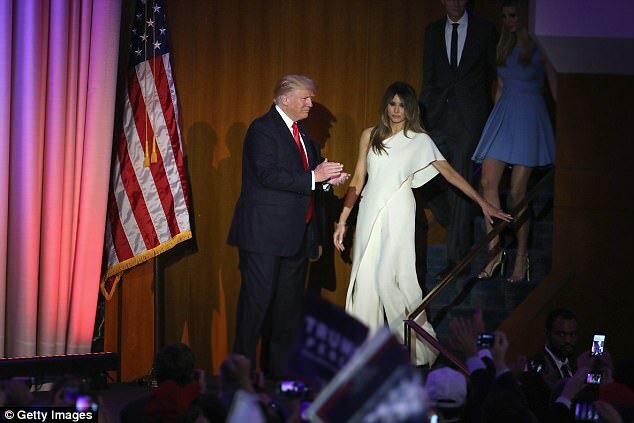 'The book is clearly going to be sold in the bargain fiction section,' began the first lady's Communications Director Stephanie Grisham. The book also says Melania Trump seemed 'on the verge of tears' during her husband's inauguration. 'Participating in a book that can only be described as trashy tabloid fiction exposes their sad desperate attempts at relevancy,' Huckabee Sanders said of Wolff's sources. 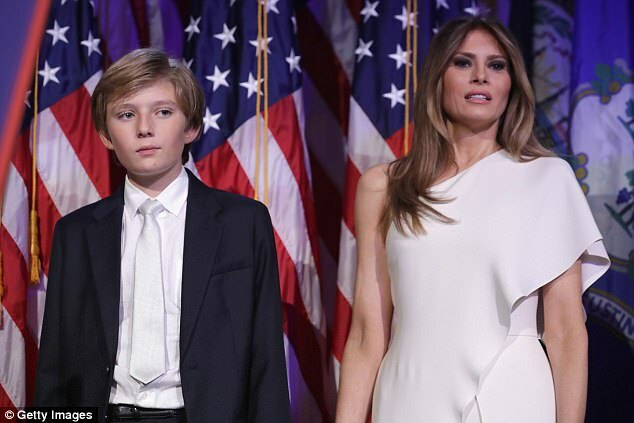 Melania Trump delayed moving to Washington in 2017 until son Barron was out of school for the summer and since taking over the role of first lady has participated sporadically in public events. 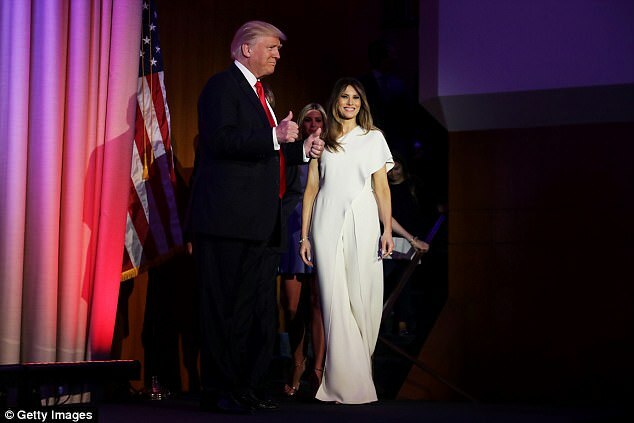 The book also insinuates that the president and first lady have separate bedrooms, being the first, first couple to do so since John and Jackie Kennedy. Trump, Wolff said, wanted a lock for his room, much to the chagrin of the Secret Service. One of the key sources for the book was former White House Chief Strategist Steve Bannon, who the president is now 'furious' and 'disgusted' by, according to Huckabee Sanders. The press secretary also suggested that Bannon would no longer be invited socially to the White House. 'Since those are controlled by the first lady I think her statement is pretty clear on her position as well,' Huckabee Sanders said.